You just woke up on the morning of the bar exam…what should you do now? AdaptiBar understands bar exam stress, especially on exam day. As you reflect on how your many months of bar prep and law memorization have brought you to this day, previously-overlooked logistical questions can easily begin to flood your mind and overwhelm you more than you imagined. Well stress no more. AdaptiBar compiled a list of your biggest questions for the morning of the bar exam and answered them all here so that the only thing you have to worry about leading up to exam morning is, well, the bar exam. No, avoid cramming or studying the morning of the bar exam. A few minutes here and there aren’t sufficient enough for your brain to memorize and fully understand law concepts, no matter how small they may seem. In fact, cramming before a test will only counteract your progress by causing you to second-guess yourself during the exam. Instead, have confidence in the weeks and months of bar prep you have completed knowing that a few extra minutes won’t be enough to make a significant difference in your score. Because everyone’s internal time clock works differently, how early you wake up before the bar exam is completely dependent on your habitual morning routine. 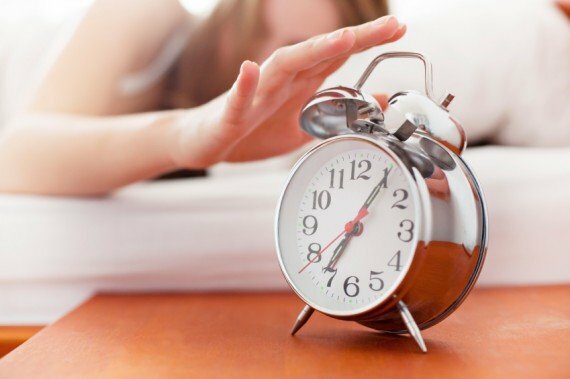 How long does it normally take you to get out of bed after your alarm clock goes off? How much time does it take for you to feel fully awake in the morning? These are the first questions you should contemplate, granted that you want your brain to be as sharp and alert as possible before starting the exam. Also be sure to plan enough time into your morning schedule for breakfast, personal hygiene, and transportation. All in all, give yourself more time than you think you need – it’s always better to be ready early than running late, especially on exam day. If your body is already accustomed to having coffee or tea in the mornings, it’s wise to continue your caffeine routine on the morning of the exam. However, if this is not the case, avoid coffee and other energy drinks. It might seem tempting to give yourself an energy boost before sitting through a 6-hour exam, but it’s likely that the caffeine will only cause you to feel more nervous and jittery than relaxed and alert. Instead, try getting your energy boost for the day from a healthy breakfast. Have you ever heard, ‘breakfast is the most important meal of the day’? Well, this phrase is especially true on the morning of the bar exam. No matter how much time you have, it’s important to give your brain the energy boost it needs to answer questions as sharply as possible during the exam. Try allotting at least 10 minutes in the morning to eating breakfast, or if you’re really crunched for time, bring an on-the-go meal with you as you head to your venue. Need bar exam breakfast suggestions? Nutritionists recommend eating plenty of protein and staying away from carbohydrates that contain white flour or sugar before taking a test. So fill your breakfast plate with eggs, fruits and vegetables, Greek yogurt, nuts, and whole grains, and avoid starchy foods like bagels, muffins, pancakes, waffles, and sugary cereals. Each jurisdiction has its own guidelines as to what it does and does not allow to be brought into the testing room, especially in regards to food and drink. This information should be sent to you directly by your jurisdiction but, in many cases, is also outlined on your state’s bar website. Most likely you will be required to bring some sort of proof of admission and a government issued photo ID to enter the exam. Other commonly-allowed items include No. 2 pencils and erasers, an analog wristwatch, and foam earplugs. If you have registered to use one, be sure to bring your laptop as well. Note: Make sure to fully charge your laptop the night before the exam! Check to see if your jurisdiction has a dress code. If not, AdaptiBar’s previous blog post discussed how “looking like a lawyer” can lead you to greater success on the bar exam. While this is true, being comfortable is also important. Dress in layers to ensure that you are comfortable in the testing center and room temperature does not become an issue. Avoid clothes that are overly tight, short, or stiff. Dressing nicely can improve your results, but that doesn’t mean you have to spend hours styling yourself for the exam. Instead, increase feelings of confidence by wearing something you know you’ll look and feel great in. Morning butterflies before the bar exam are normal, but following these relaxation tips will ensure that your brain concentrates and performs to the best of its ability throughout the day. Avoid talking about the bar exam with anyone – before, during, and after – to prevent your anxiety from escalating. If you feel your body tensing up, force yourself to relax your shoulders and focus on breathing more deeply. Stretching has also been found to alleviate bodily tension caused by nerves, so extending your arms and legs forward, even during the exam, can send a message to your body that it needs to relax more. How early you are permitted into your venue on exam day is entirely dependent on your jurisdiction. While some specify a time for your arrival, others specify what time you must be seated for the exam. AdaptiBar recommends, however, planning to arrive at your venue as early as you are allowed to enter it. This allows you extra “cushion” time for unexpected circumstances to occur, from busy traffic to spending more time than anticipated getting ready for the exam. Have a question about the bar exam that wasn’t answered here? Comment below and AdaptiBar will be sure to answer it for you!